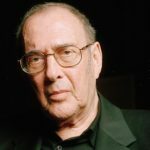 Harold Pinter was a Nobel Prize-winning English playwright, screenwriter, director and actor. One of the most influential modern British dramatists, his writing career spanned more than 50 years. "There’s a tradition in British intellectual life of mocking any non-political force that gets involved in politics, especially within the sphere of the arts and the theatre." "Clinton’s hands remain incredibly clean, don’t they, and Tony Blair’s smile remains as wide as ever. I view these guises with profound contempt." "I never think of myself as wise. I think of myself as possessing a critical intelligence which I intend to allow to operate." "Iraq is just a symbol of the attitude of western democracies to the rest of the world." "I found the offer of a knighthood something that I couldn’t possibly accept. I found it to be somehow squalid, a knighthood. There’s a relationship to government about knights." "If Milosevic is to be tried, he has to be tried by a proper court, an impartial, properly constituted court which has international respect."